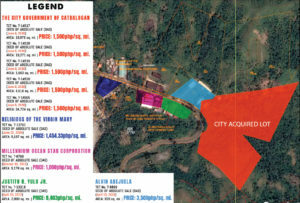 Purchase price comparison of city acquired lot with the adjoining lots in Payao, Catbalogan City. CATBALOGAN CITY – Mayor Stephany Uy-Tan of this city maintains that the project that was questioned by the Office of the Ombudsman was above-board. Still, the city mayor added that she would submit herself to the legal processes and prove her innocence. “If the suspension is served on me, I will not escape. 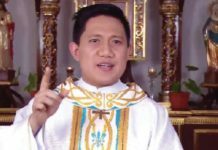 I will accept it and respond in the proper forum because I know that what they accused of me is not true,” Uy-Tan, who remains unfazed, said in an interview. She said that this particular issue is nothing compared to previous issues that were thrown at her which she faced head-on. Earlier, several posts and news reports circulated in social media on the alleged issuance of preventive suspension order against Uy-Tan, Vice Mayor Art Sherwin Gabon, seven councilors and several City Hall personnel due to what is claimed an irregularity on the purchase of a parcel of property in the city. Mayor Uy-Tan said that, as of press time, she has yet to receive a copy of the said Ombudsman decision seeking for her suspension for six-months without pay. And contrary to the observations and conclusions of the said posts and news articles quoting the order of the Ombudsman, the questioned transaction was made aboveboard, she said. As to the fair market value alone, she emphasized that the purchase price of the city amounting to P 1,500 per square meter is comparatively fair as compared to the purchase prices of adjoining lots such as those of the Religious of Virgin Mary (2004), Millennium Ocean Star (2011), San Miguel Corporation (2012) and Alvin Abejuela (2015) which are priced at P1454.33, P 8,403 P1,000 and P3,500, respectively. Mayor Uy-Tan said that the transaction, in fact, made the city government ‘richer’ by P300 million in assets. She added that the cases filed against her, the vice mayor and the rest of the council are purely politically motivated for they are orchestrated by their political enemies who are running against the Mayor’s slate come 2019 local elections. She added also that there is a pending robbery/extortion case filed by one of the respondents of the Ombudsman case, Councilor Tekwa Uy against the complainant, Bernard Jake Ramos. On the other hand, despite these issues, she expressed her hope that the projects that are ongoing and to be constructed in the questioned property will continue for this will benefit its targeted constituents. 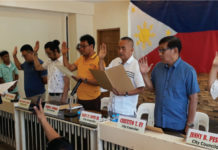 As this developed, Mayor Uy-Tan withdrew her certificate of candidacy for mayor on November 29, the last day for filing for substitution for candidates running in next year’s elections. She was substituted by her younger brother Dexter, former city federation president of the Sangguniang Kabataan and ex-officio member of the Sangguniang Panlungsod in the years 2011-2013. Mayor Uy-Tan will run instead for councilor.